For the first time ever. 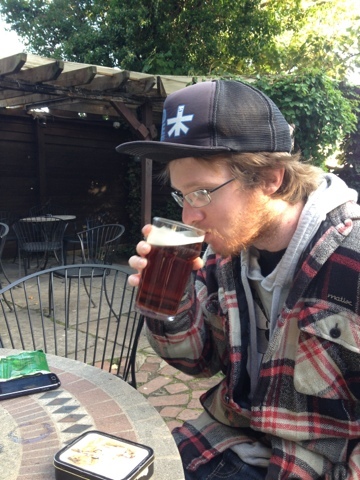 the blog will now have a third party writing about the blogger, here is Crabface sippin on a Sunday afternoon Harveys. Cheers!